I don't celebrate me enough! But I LOVE to take baths with salts and oils……..and I love to read great books, and create artwork! Need to do more! 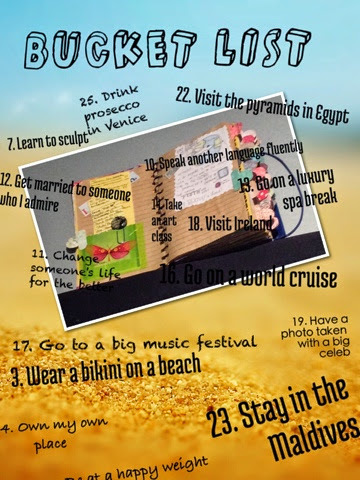 Thanks for sharing your bucket list! Sculpting sounds awesome! All these platforms, see I only responded on the gram, but glad you are inspired to do more. I remember sitting down with this list, right before taking one of the best trips ever! !